Travel to the natural paradise of Baja California Sur to experience the wonder of national parks, marine sanctuaries, and to participate hands-on in a green sea turtle conservation project led by local fisher/conservationists in Magdalena Bay. Students will also get their hands dirty in a reforestation project in the Sierra de la Laguna Biosphere Reserve. Accompanied by expert naturalist guides and educators, students will experience local culture on this once in a lifetime experience. *This is a sample itinerary that is flexible based on your group's budget and needs. Contact us at right for a customized proposal or call us at 800.215.0378 with any questions. Price: From $1,695 per person depending on group size. Teachers travel for free (excluding airfare). Includes: All in-country transportation, accommodations, meals as noted in itinerary, camping in Magdalena Bay, activities, guides, and a donation to turtle conservation. Accommodations at the turtle project are field camping with comfortable amenities. Walk-in tents are equipped with two cots with linens and pillows. Toilet and shower facilities are environmentally-friendly and integrated into the landscape. Maximum group size of 16 people, minimum of 8 students. Minimum recommended age is 8 years old. Thank you! We will be in touch shortly. Feel free to call the number below with any questions. 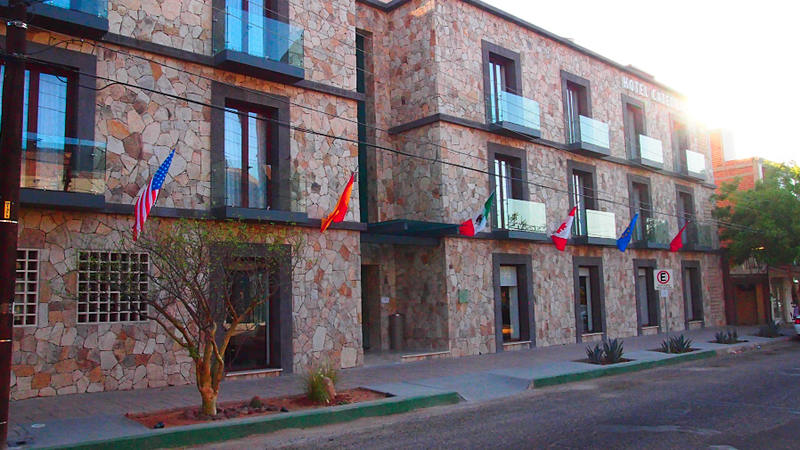 Arrive to Los Cabos, gateway to the Baja California Peninsula. From here we will meet our guides and transfer to the Sierra de la Laguna Biosphere Reserve, home to an incredible diversity of flora and fauna, and the region’s only pine and oak forests providing a stark contrast to the surrounding desert landscapes. We will meet our local hosts and learn firsthand about their centuries old traditions that have changed little over the past century. Students will learn about the importance of Natural Protected Areas such as La Sierra de la Laguna, and will work side by side with local rancheros, on a soil restoration and native plant reforestation project to help protect the watersheds that provide the source of water for La Paz, Todos Santos and Los Cabos. We will round out the day with cultural activities, learning about life on the rancho. We depart the Sierras and head north to La Paz, situated on the Sea of Cortez and what Jacques Cousteau named the ‘worlds aquarium’. We will take a walking tour of the city, and along the way our local guide will take us through some of the local history, architecture and food that make La Paz unique. In the afternoon we will visit Balandra Bay, a national park with turquoise water, white sand beaches, mangroves and a stunning backdrop of desert scenery. Today we head to Magdalena Bay, jewel of the Pacific and home to diverse ecosystems and multitudes of marine species and migratory and marine birds. We will meet local fisher/conservationists that lead the sea turtle conservation and research project, and participate in the sea turtle monitoring. During the night we will discuss sea turtles, the important role they play in the ecosystem. 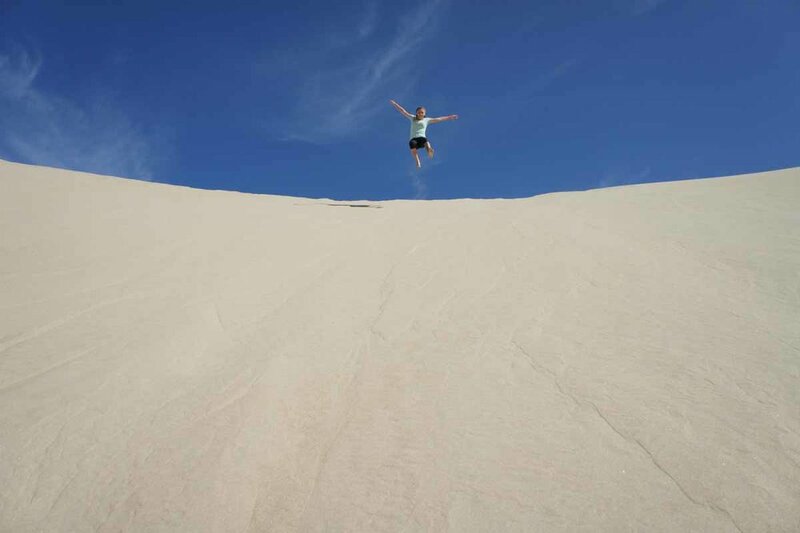 We will spend the day exploring the sand dunes, mangroves and barrier islands of Magdalena and Almejas Bays. Students will learn about dune ecology, local fisheries, and the importance of mangrove ecosystems. 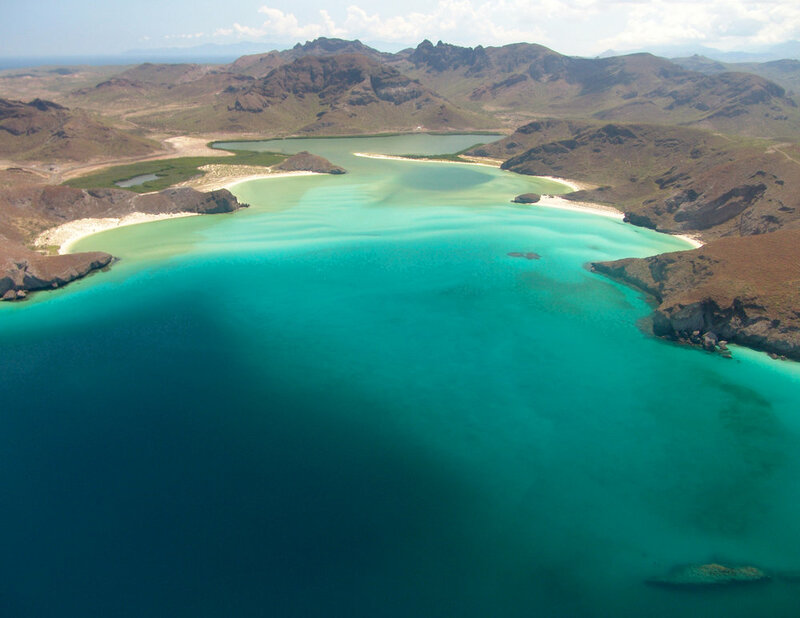 Espíritu Santo Island is a UNESCO Biosphere Reserve and home to turquoise water, resident sea lions, tropical fish and visually stunning geology. We will take the day to explore the island, snorkel with the sea lions, and learn about the history of the island. Head to the Los Cabos airport for your flight home.